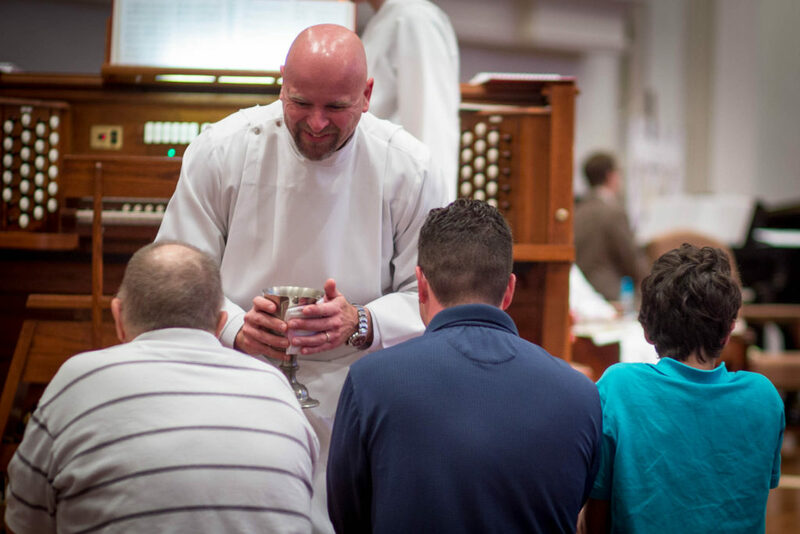 Join us for Traditional worship every Sunday at 8:00am and 10:45am in the sanctuary at St. Peter’s Lutheran Church. Holy communion is offered at the Early Service on the 1st, 3rd and 5th Sundays of the month, and at the Late Service on the 2nd, 4th and 5th Sundays, and on all Festival service Sundays. Traditional worship includes Lutheran liturgy spoken and sung, Biblical readings, sermons for adults and children, hymns and special music. Liturgy and hymns come from our hymnal Evangelical Lutheran Worship and our worship service is printed in bulletins for ease of participation. St. Peter’s follows the Revised Common Lectionary, and celebrates major holy festivals of the church year. Each week our sermons are posted right here on our website.